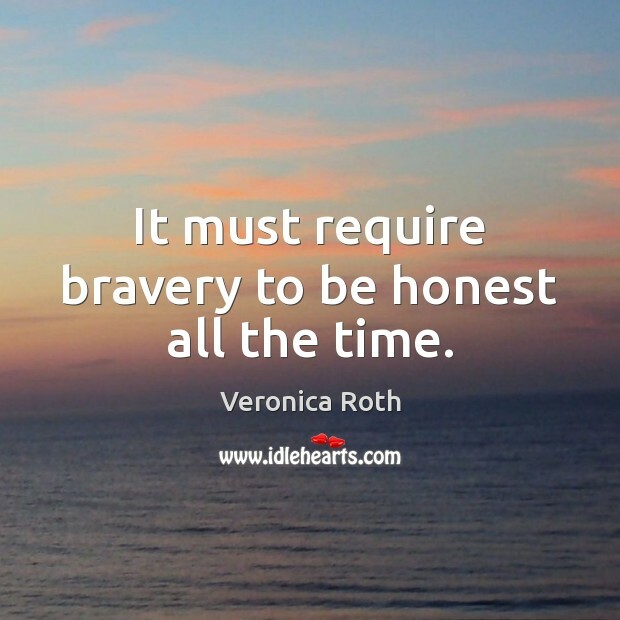 Quotations about Being Honest. Quotes to stimulate mind and drive action! Use the words and quote images to feed your brain inspiring things daily! I feel like, if I'm being honest with myself, my biggest skill set is as a writer 'cause I can do that quickly and I'm really grounded in story structure. Part of my success as an actor, is that I know story well. Part of my success as a director, is how well I know story. Same thing, as a producer. 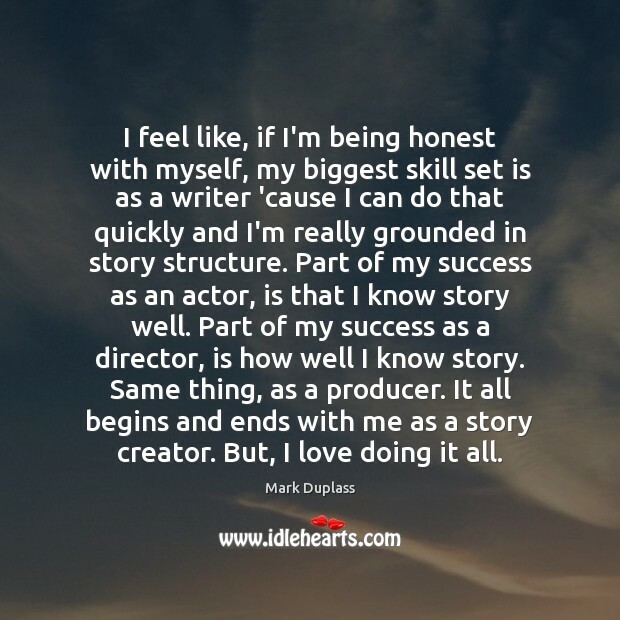 It all begins and ends with me as a story creator. But, I love doing it all. 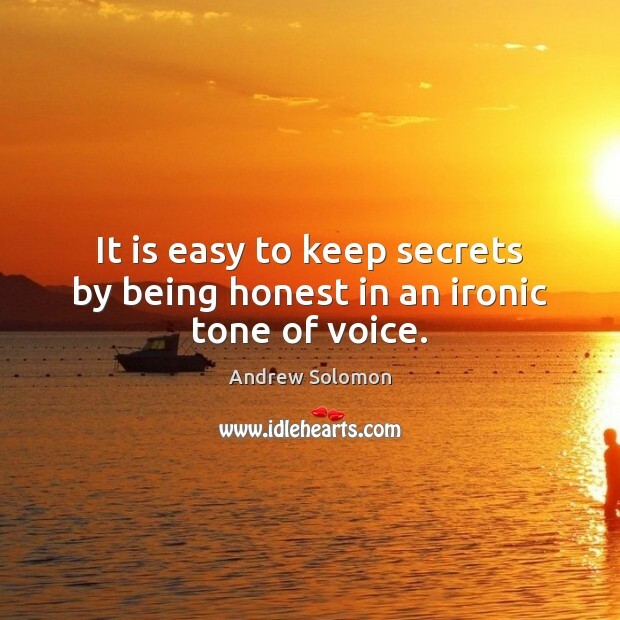 It is easy to keep secrets by being honest in an ironic tone of voice. 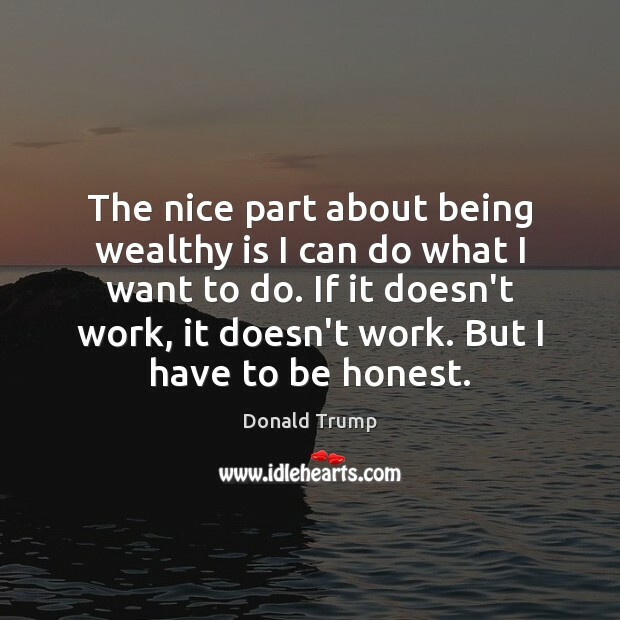 The nice part about being wealthy is I can do what I want to do. If it doesn't work, it doesn't work. But I have to be honest. 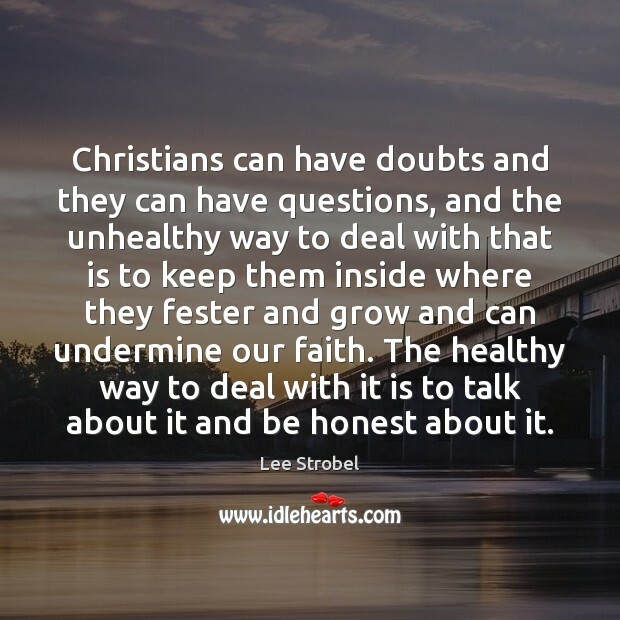 Learn to trust and be trustworthy. 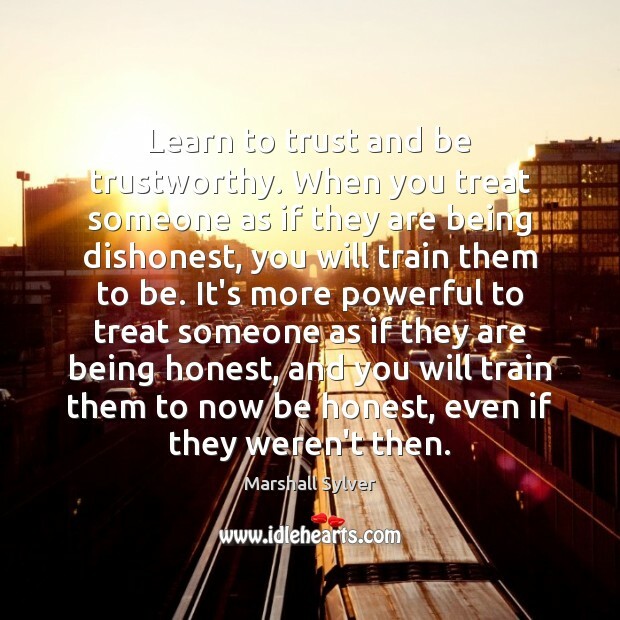 When you treat someone as if they are being dishonest, you will train them to be. 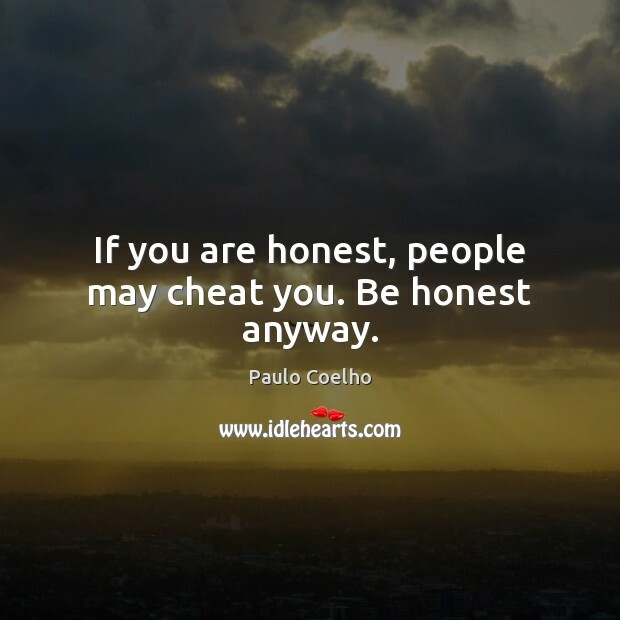 It's more powerful to treat someone as if they are being honest, and you will train them to now be honest, even if they weren't then. 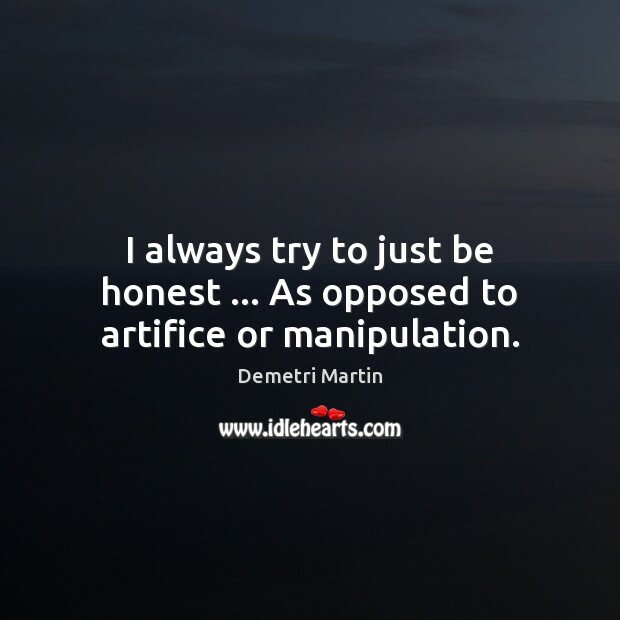 I always try to just be honest ... As opposed to artifice or manipulation. 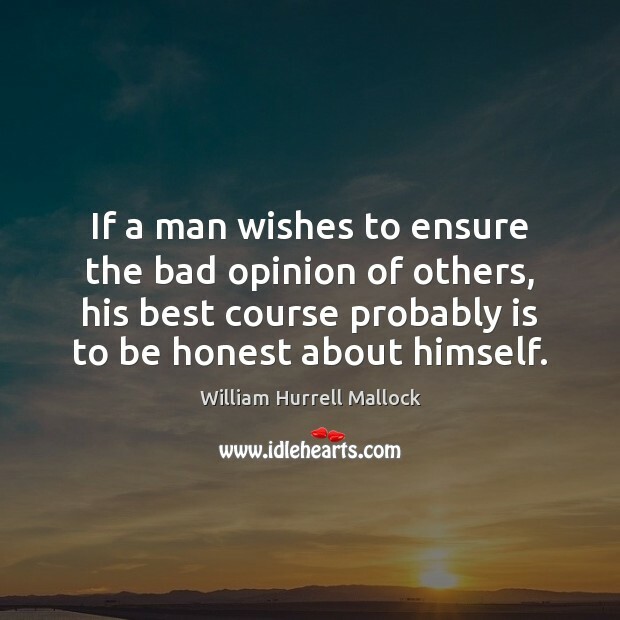 If a man wishes to ensure the bad opinion of others, his best course probably is to be honest about himself. 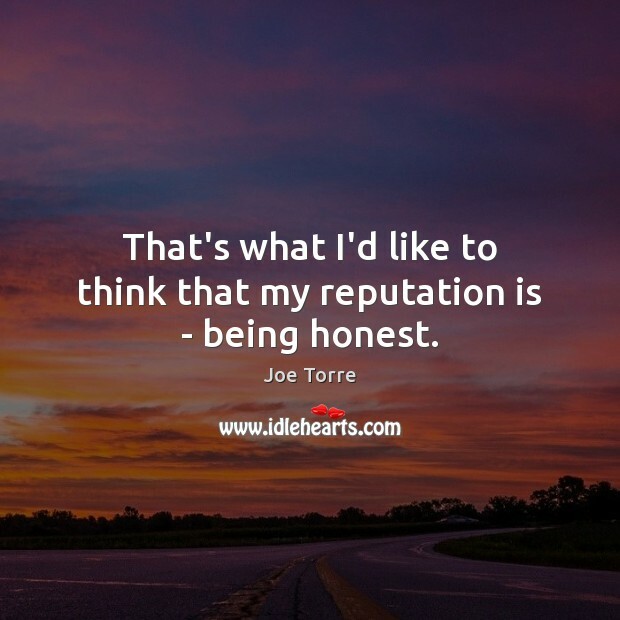 That's what I'd like to think that my reputation is - being honest. Anyone who really wants to coach and have a lot of impact on people's lives, high school's the way to go. 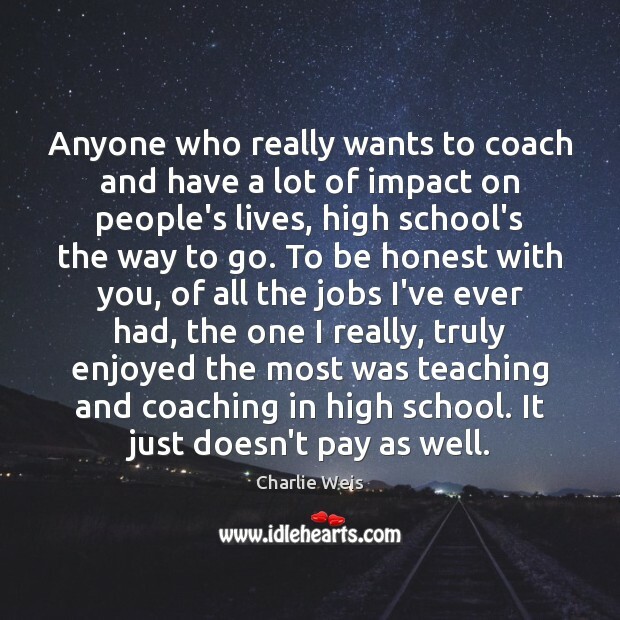 To be honest with you, of all the jobs I've ever had, the one I really, truly enjoyed the most was teaching and coaching in high school. It just doesn't pay as well. 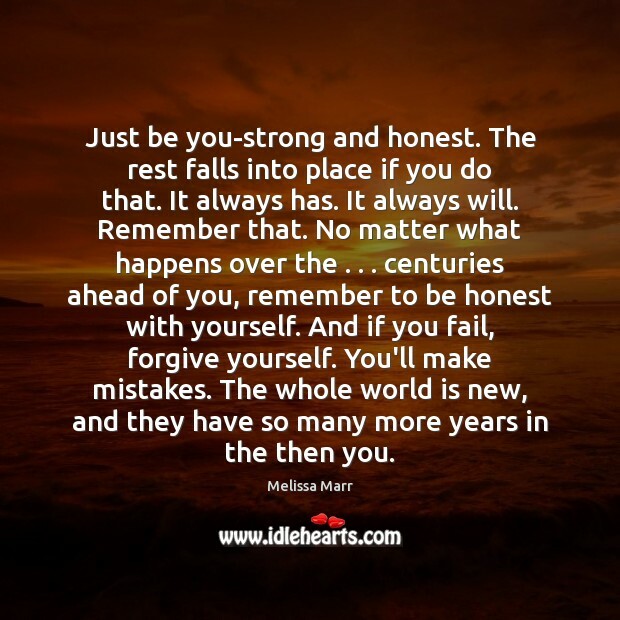 Just be you-strong and honest. The rest falls into place if you do that. It always has. It always will. Remember that. No matter what happens over the . 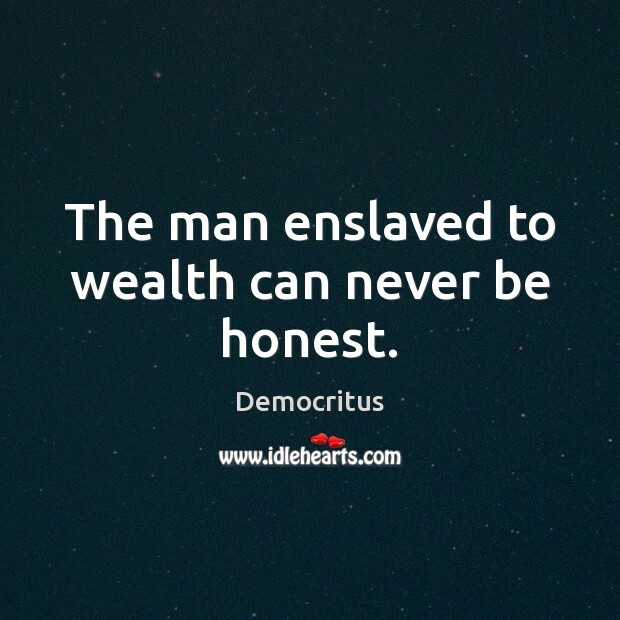 . . centuries ahead of you, remember to be honest with yourself. And if you fail, forgive yourself. You'll make mistakes. The whole world is new, and they have so many more years in the then you. 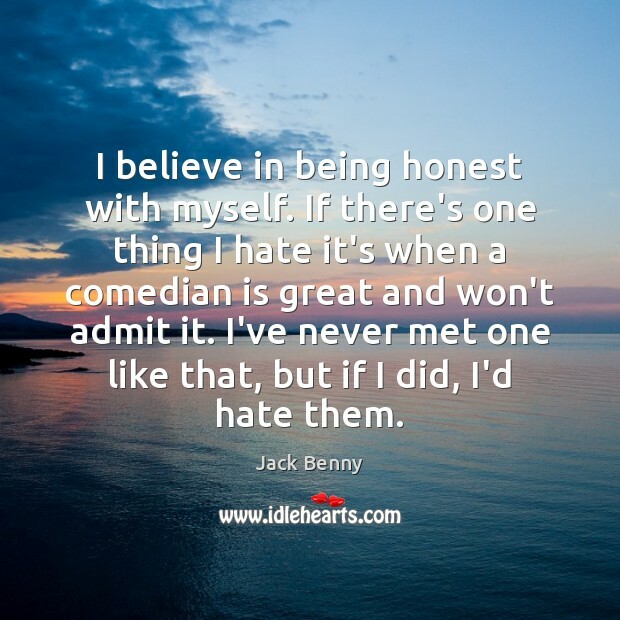 I believe in being honest with myself. If there's one thing I hate it's when a comedian is great and won't admit it. I've never met one like that, but if I did, I'd hate them. 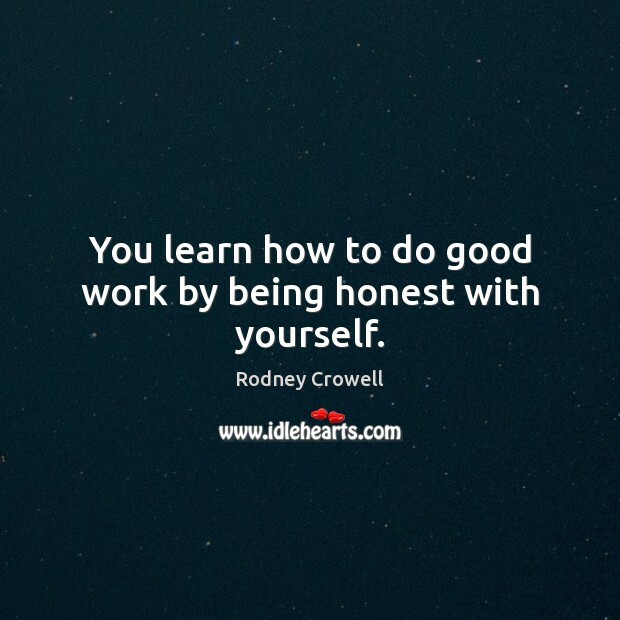 You learn how to do good work by being honest with yourself. 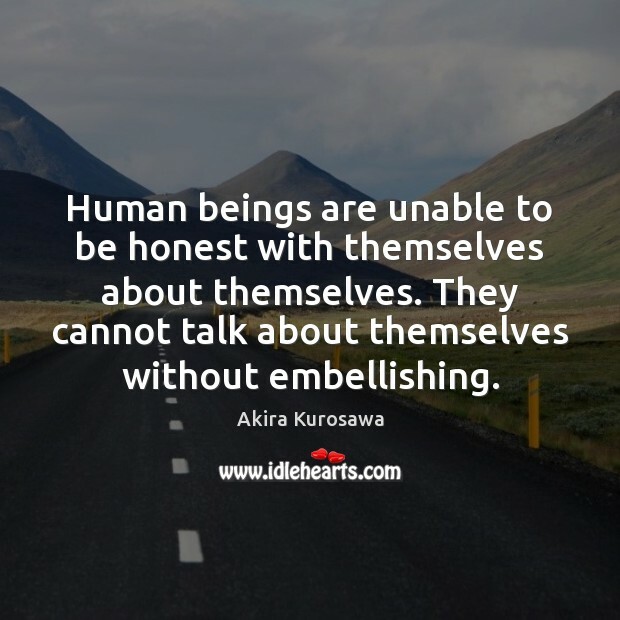 Real intimacy is only possible to the degree that we can be honest about what we are doing and feeling.